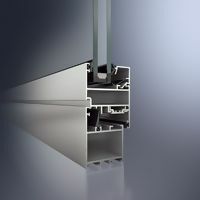 With its new generation of AWS windows (Aluminium Window System), Schüco has created a system to meet all requirements. Functional benefits are combined with architectural and design features. Benefits such as high thermal insulation with minimal basic depths and narrow face widths up to 65 mm are combined in components perfectly tailored to one another. The new generation of AWS windows fulfil the complex requirements of a state-of-the-art sustainable building concept. With its wide range of design options, the Schüco AWS window system clearly increases the prestige and value of a property with a significantly higher level of comfort and security.